Windows & Doors - Coverup Enclosures is a General Construction Remodeling Company in Mid Michigan serving the Areas of Grand Rapids, Lansing, Ionia, Lowell, Grandville, Greenville, Portland. High quality work and energy efficient work and products have kept us open for over 25 years. CoverUp Enclosures is proud to represent Thermal Gard Window, featuring triple pane glass and Double Low-E with Argon. CoverUp Enclosures also proudly uses ProVia products, the result of old-world craftsmanship and modern technology. They are top quality and energy efficient, and all of their doors are built with the finest materials and the highest level of care. You will enjoy the lasting beauty and durability of these doors. With CoverUp Enclosures selection is never an issue. They will work diligently to help you find the best solution for your remodeling needs. Thermal Gard Windows are not only durable and practical, but they are beautiful and energy efficient. CoverUp Enclosures is proud to represent Thermal Gard. 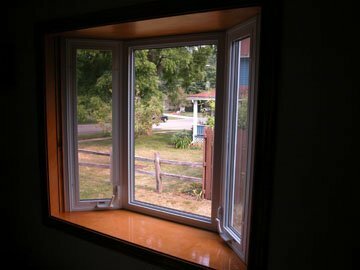 Thermal Gard Windows come in double hung, casement/awning, slider, fixed, specialty shapes, bows and bays. Whatever your pleasure, CoverUp Enclosures can find a window to meet your needs. CoverUp Enclosures is proud to represent ProVia doors. Choose from many available designs, such as fiberglass and steel entry doors, decorative and retractable screen doors, and vinyl sliding and hinged patio doors. ProVia is committed to creating products that stand the test of time. This means they don’t cut corners or sidestep even the smallest details. Did We Mention the Beauty? Windows and doors bring your home character, charm and personality. CoverUp Enclosures is committed to helping you find the perfect ones for your house.